Hey guys! 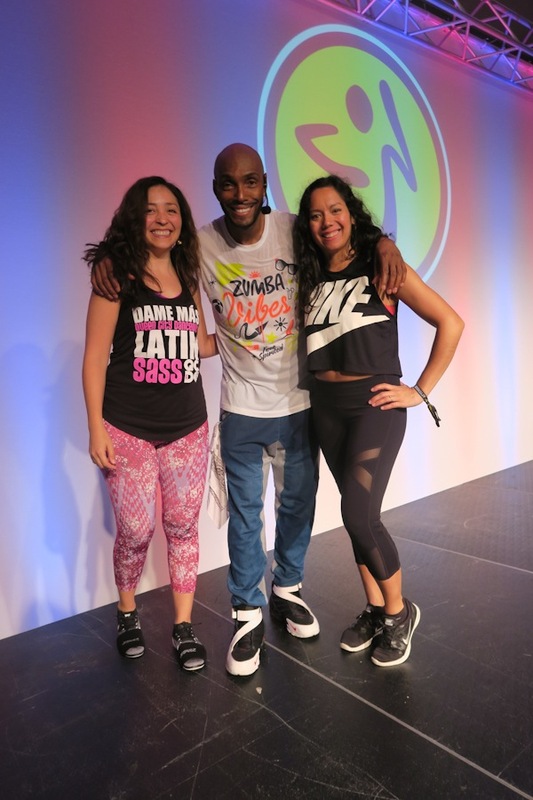 I’m blogging from NYC after another fabulous Zumba Convention! I can’t believe that I’ve now attended seven. SEVEN! I feel so fortunate to be able to attend such an amazing event and meet so many wonderful fellow ZINs. After skipping vlogging last year, I decided to film my experience again for 2017. So, I’ll post the vlog video at the bottom of this post. 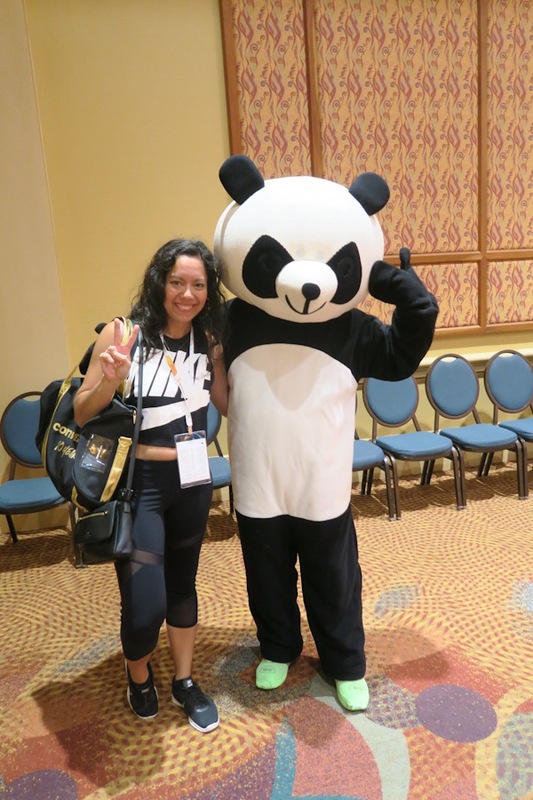 In this post, I’m talking about my travels to Orlando, FL for this year’s ZinCon, as well as my Day 1 experience. My flight got my schedule a little messed up because it was about 1 1/2 hours delayed. Doh! 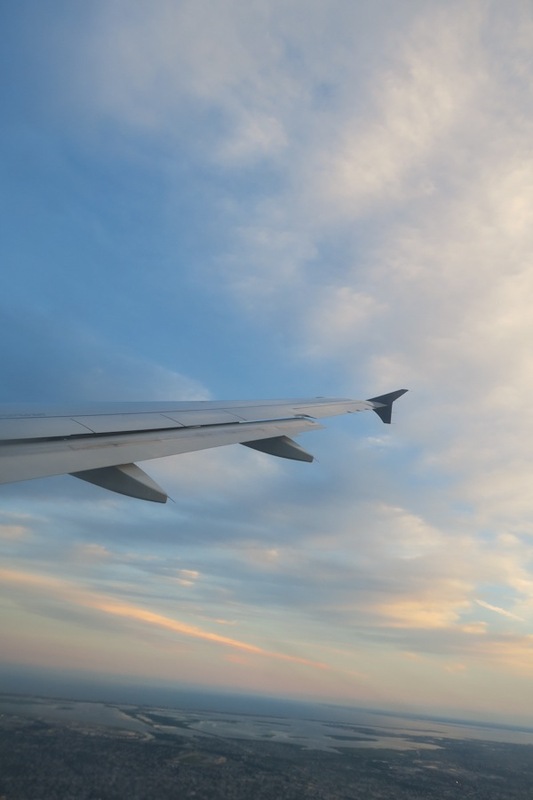 But the trip into the sky was beautiful. I haven’t seen a sky that pretty on take off before, and I managed to catch it on video. I got the whole take off for you! It’s in the vlog (see end of post). I sped it up so it didn’t drag on too long. 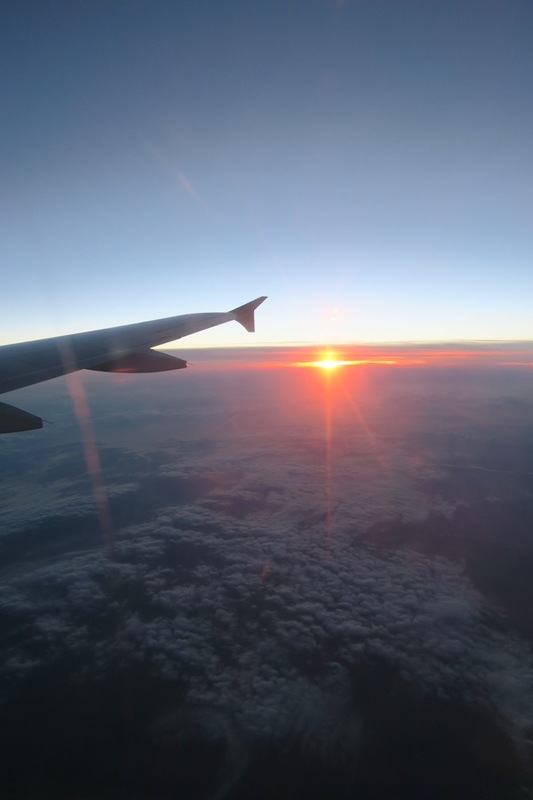 And I also got to enjoy a beautiful sunset from the sky. We landed safely around 10pm. Or was it 10:30pm? I happened to sit next to one of three other girls headed to ZinCon, so we all shared a cab. 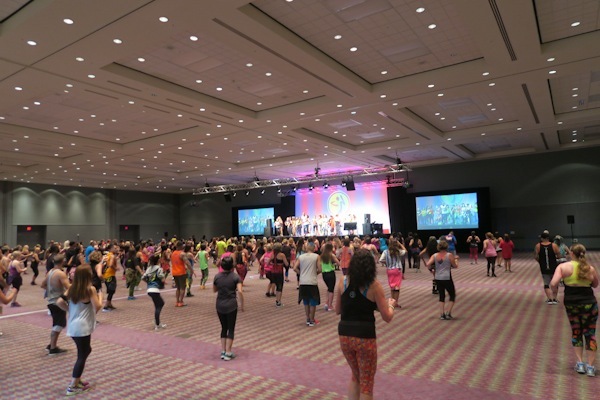 It was so fun making new Zumba friends. 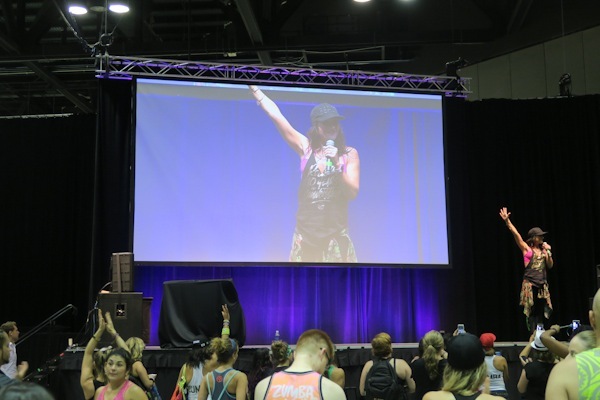 You guys…the Zumba family thing is real. You can talk to anyone attending the conference, and it’s like you’re talking to someone you’ve known for awhile. Everyone is so friendly. The community is just so cool! I had a late-late sandwich around 11pm. I had planned for a late dinner, so I ate a late lunch. Which meant I wasn’t hungry in the window of my flight delay to eat at the airport. 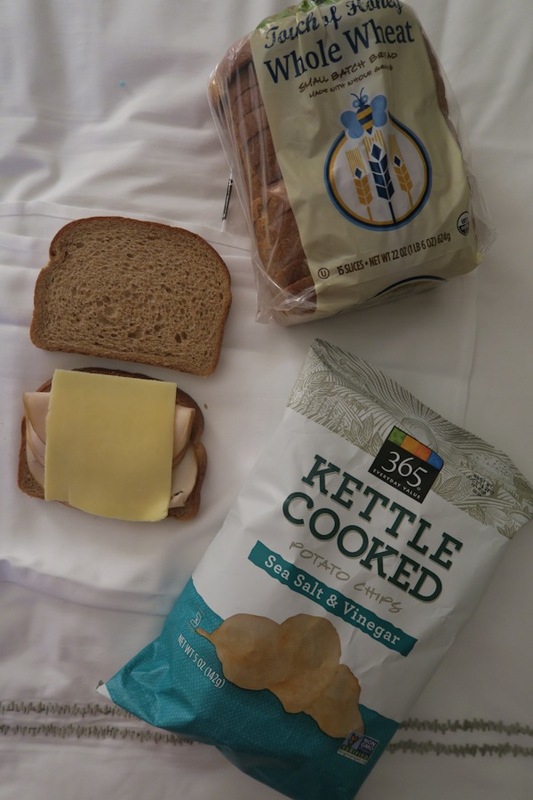 So, I ended up eating a turkey and cheese sandwich with some chips at around 11pm. Not ideal, but hey. It happens! At least I had something to eat thanks to my awesome roomie, Paola. She went to the grocery store while I was flying in, so I could make this in the hotel. I had the pleasure of staying with my good friend, Paola, for this year’s convention. We used to get to see each other every week since she was a regular in my class who eventually joined my team too! And now she’s done her Zumba B1, so she will be an instructor too one day. So exciting! Since I’ve been working in NYC, I don’t get to see her as much, so it was really nice to have so much QT with her. Because of my late trip, we ended up not going to bed until 2am. Not the best way to start, rest-wise. 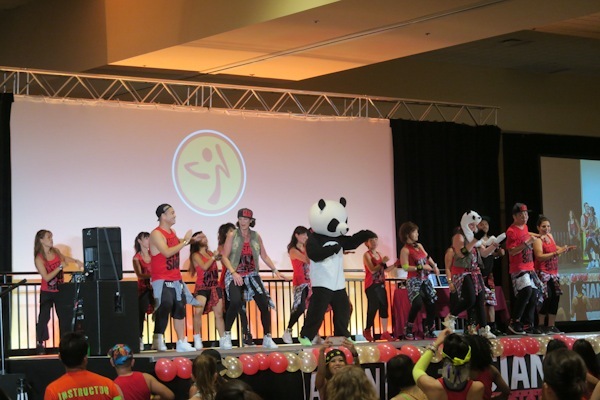 You need as much energy power as you can get for Zumba Convention. Trust me! Anywho, we decided to treat ourselves to breakfast in bed. 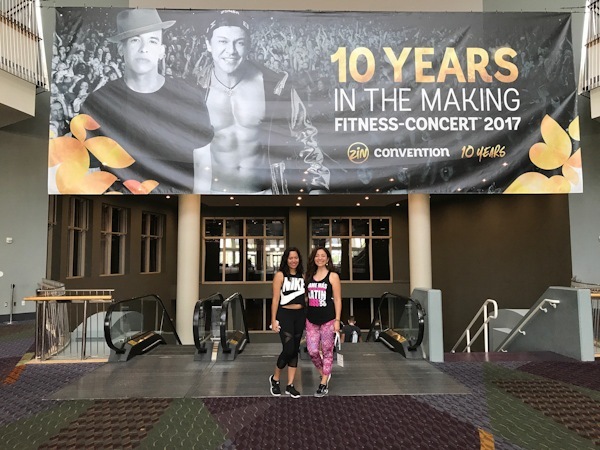 Re: the rest and energy…I was a little nervous about attending ZinCon at all since I’m still recovering from my injury. I figured it was worth going since I’d already paid for my registration, and I’m so glad I did. 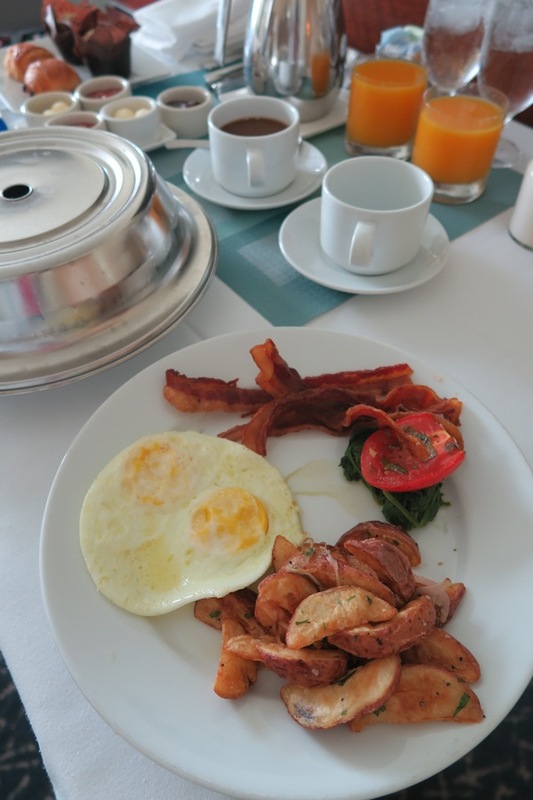 We each had eggs fried over hard, with potatoes, and a spinach / tomato side. I got bacon while Paola got ham. And we had plenty of coffee, plus orange juice. It really hit the spot! This was my second year attending Asian Invasion (went last year too), and it was the perfect start to this year’s ZinCon. And I’m not just saying that because I’m half-Asian. Alena and her team kill it every year! The energy is off the charts, and I love hearing fun songs that I’ve never heard before. And also you get a dancing panda. Woop! Thanks for the fun kick-off, Alena and team! I was originally signed up for Latin Pop as my second session, but Lindsay wasn’t able to attend. So Wally came in and did his classic Salsa Merengue Mash-Up session. I haven’t danced with Wally in a long time. I did his master class when he visited Charlotte back in 2012. It was nice to dance with him again. I loved class so much, I didn’t want to stop dancing. And I pretty much didn’t. I thought I may need to take more breaks for my back, but I was able to keep things really low the whole time. Paola did the session with me, and it was fun having someone to dance with. She loved the session too! 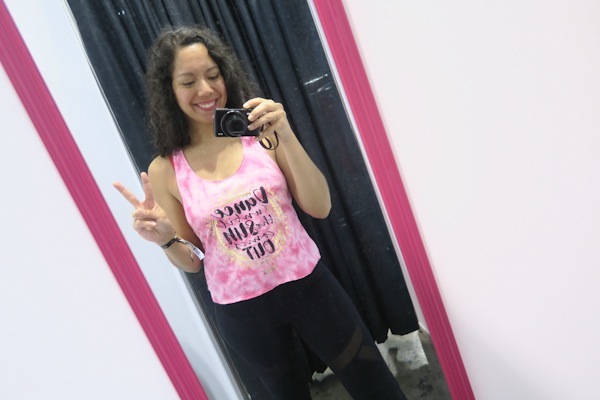 I tried something new in the video this year and tried on some of the new Zumbawear that will be hitting Zumba.com soon. 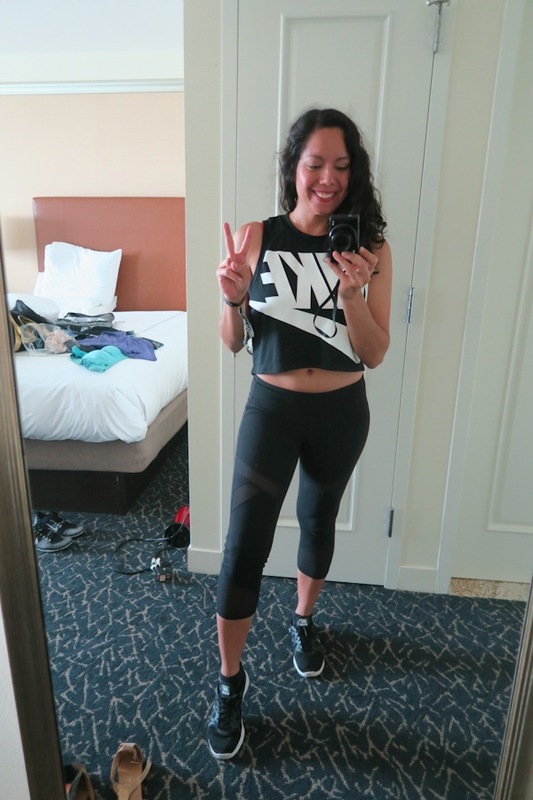 And I posted my haul (the first one, at least…haha) on my vlog for Day 2 (which is live on my YouTube channel). And I did Kass Martin’s master class again. I just love doing her classes. She’s such a model instructor, and I love the variety she puts in her playlist. It was 90 minutes of dancing fun. I definitely had to take breaks at this point to rest, but I still had a great time. Featured in the video, but not in photos (oops, I forgot!) – the 2017 official goodie bag! It’s so cute! 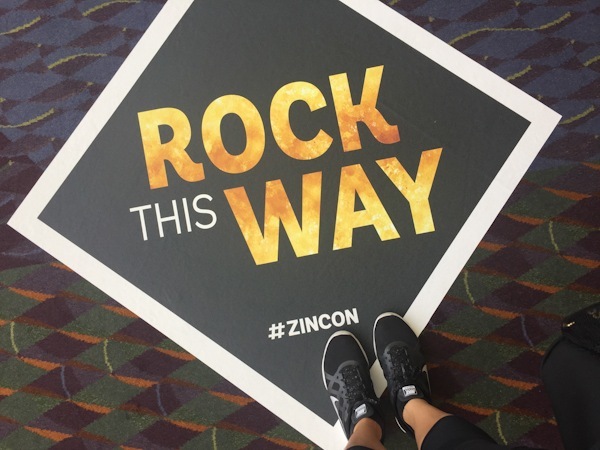 If the video player above doesn’t work, click here to watch my ZinCon 2017 VLOG for my travels and Day 1. My day 2 vlog is live on my YouTube channel. Be sure to subscribe so you’re the first to know when a new video goes live. I still need to get the photos together for a blog post before sharing it here. And wait till you see the Day 3 vlog! It’s gonna be good!